Cartoonist Gary Cangemi died March 18 due to the effects of Creutzfeldt-Jakob disease. He was 62, and the news hit my family hard. He did great work in his life — he was a scout leader for more than 10 years and started, and coached, a high school soccer program. He leaves behind his wife, Nancy, a son, two daughters, and two beloved granddaughters who he bragged relentlessly about. 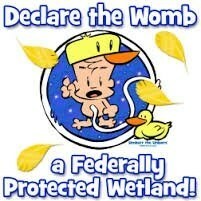 But what my family knew him for was Umbert the Unborn. The strip debuted in June of 2001 in the National Catholic Register while I was editor there (see my remembrance at the Register here), and was an immediate hit. I still remember when we received the first Umbert cartoon strips in the mail. They were perfect for the Register, and I imagined every other Catholic paper he sent them to would jump at the opportunity. I was determined to jump first, going to herculean efforts to get him signed to the paper as soon as humanly possible. Umbert was wonderful — a joyful, articulate defender of life. And when we met Gary, we learned why. He had all of his cartoon character’s best qualities. Umbert was his alter ego. 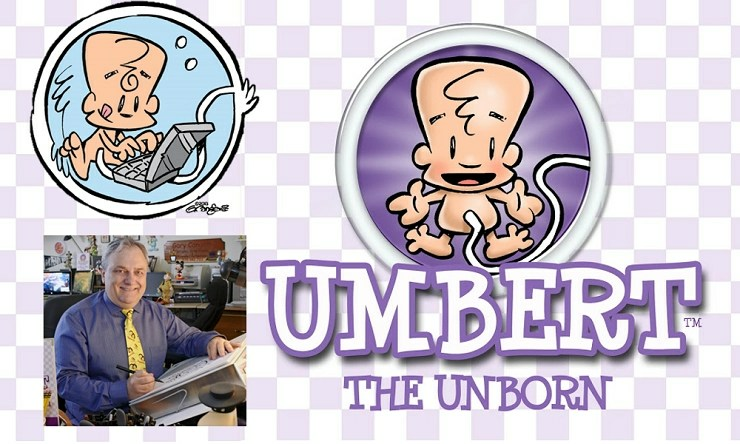 The cartoon drew eyes to the Register each week, and sharing the antics of the loveable Umbert helped lock in many young readers’ into commitment to the lives of the unborn. I meet students at Benedictine College who say that Umbert is one of the reasons they are pro-life. They loved him as a child and when they strayed from the truth, Umbert ensured that they never strayed far. The news of his death came shortly after my daughter’s cartoon- (and therefore Umbert-) themed birthday party amid a weekend when we were busy writing “Get Well Soon” cards for Gary. By the end of the weekend they were writing condolences and thank yous to Gary’s family. Click here to find my remembrance of Gary’s life at the National Catholic Register, and say a prayer for this pro-life hero who fought for the voiceless with humor. May he rest in peace, and be richly rewarded for his service to the unborn.